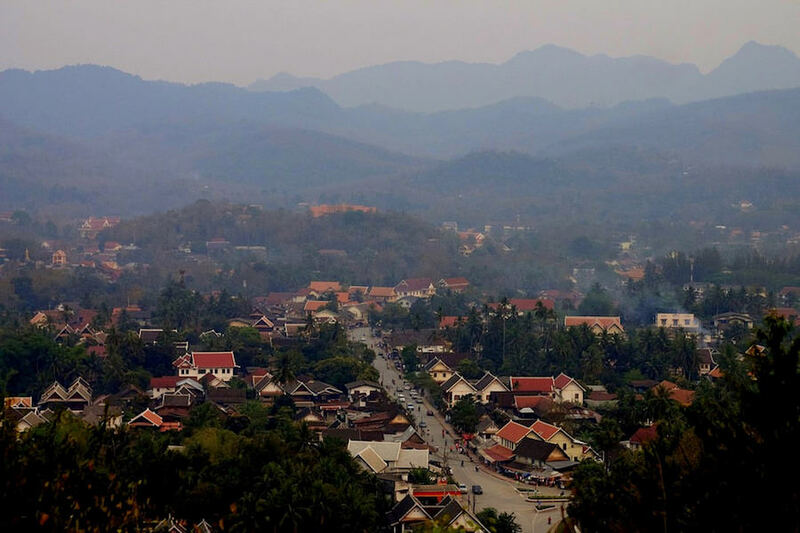 Luang Prabang, profoundly influenced by the French, unquestionably earns the title of the UNESCO World Heritage Site. Although pricey for a traveller on a budget, this exquisite town in Laos is not to be missed under any circumstances. Give it a week at least to soak in the grace of this place, especially if you’ve been travelling around SE Asia for some time. 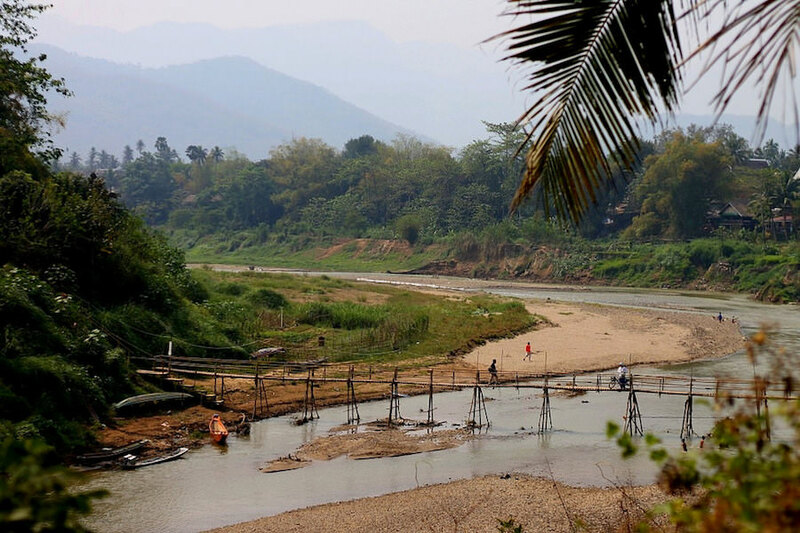 Situated on the peninsula formed by the Mekong and the Nam Khan River, Luang Prabang is a perfect spot to unwind, eat good food and enjoy the scenery. 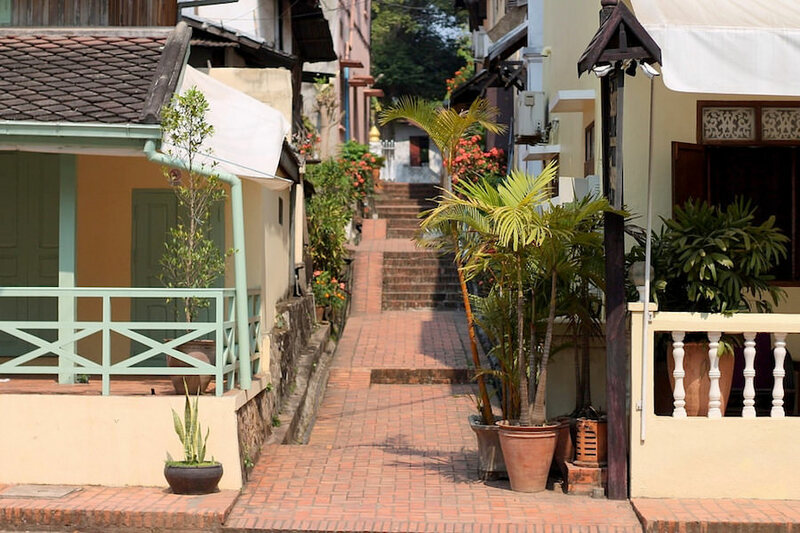 This relatively small, palm fringed place is packed with fabulous colonial villas, top class restaurants, coffee shops and stunning Buddhist temples. 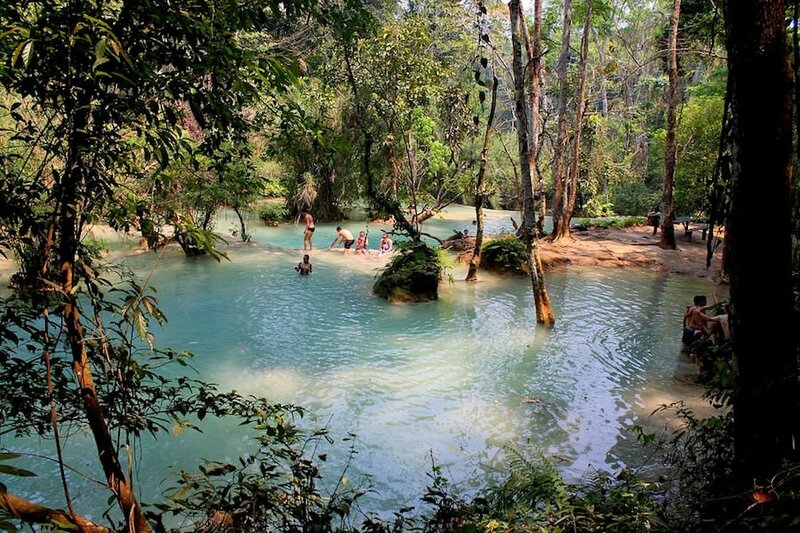 It’s a perfect destination if you are in the process of deciding where to travel in Laos. Luang Prabang is a popular destination amongst package travellers and is easily reachable by air. Flights run from many major cities in the neighbouring countries such as Bangkok and Chiang Mai in Thailand, Hanoi in Vietnam, and Siem Reap in Cambodia. Domestic flights run from Vientiane, the capital of Laos. The new international airport is conveniently located only 5 km north-east of the city. 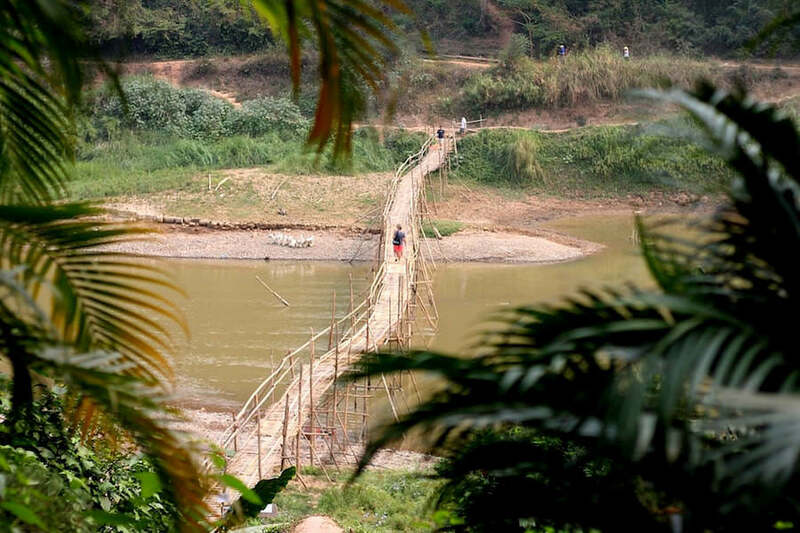 There’s no train network anywhere in Laos so the bus journeys will take hours for you to reach Luang Prabang. To book a bus ask at your hotel or travel agency. We don’t recommend getting a bus unless you are absolutely stuck. 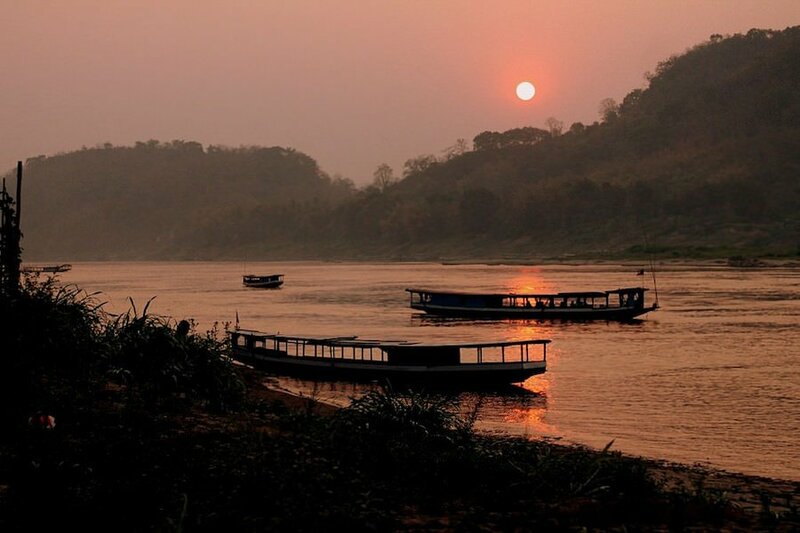 For a better experience, opt for a boat trip along the scenic Mekong river. One of the most spectacular ways to arrive to Luang Prabang is by boat. There are 3 types of boat trips you can take from the small border town of Huay Xai in northern Laos. The cheapest option is the public slow boat, however boats get quite crowded during the high season and might be slightly uncomfortable for a 2 day journey. A speedboat is a little more expensive but takes you to Luang Prabang in around 6 hours. While this might sound adventurous, the journey can also be rather dangerous with fatal injuries due to the risk of the boats crashing into the rocks in the river. We booked a 2 day slow boat tour via Mekong Smile Cruise and had a fantastic experience. This is the most expensive option, but really worth it. 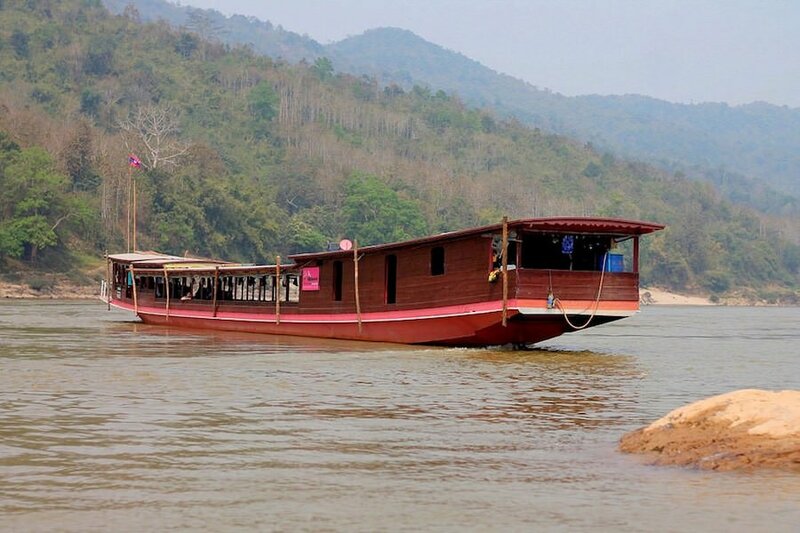 Hassle free, relaxed and smooth sailing along the Mekong river will allow you to enjoy the scenery. With a knowledgeable English speaking guide, tasty food on board and an overnight accommodation arranged, you will have a great time. Another option is to travel by slow boat from Luang Prabang to Chiang Rai, or Chiang Mai, Thailand. Click here to read about that journey. The UNESCO World Heritage Site status and becoming a destination popular amongst package travellers, has no doubt pushed the prices up. However, if you do your research, you can still find gems wedged in between the luxury $260 per night hotels. Lucky for you, we did some research already and found a charming and affordable place in the posh end of town. For $30 you will enjoy a spacious double room with comfortable bed, clean sheets and fresh towels, good breakfast and a lovely view from the shared terrace. The breakfast is simple, but well prepared and tasty, garnished with fresh herbs from their own garden on the river bank. We stayed here for a week and found the guest house comfortable and the staff helpful and friendly. 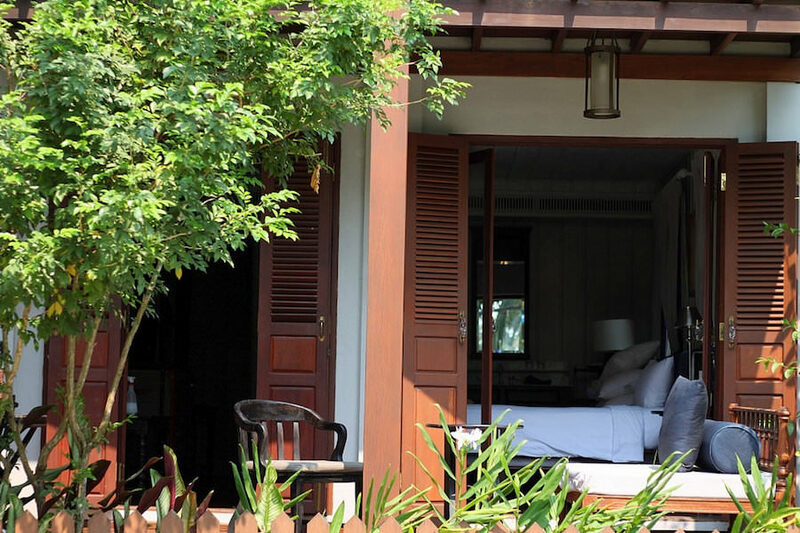 Click here to find other accommodation options in Luang Prabang. There is no shortage of places to eat in Luang Prabang. Whether you simply love a good bite or are a travel foodie, you will not be disappointed. From top class restaurants and bakeries to cheaper eats at the local market, Luang Prabang has it all. This simple, yet romantic candlelit restaurant is a great choice if you are craving for something simple, ordinary like pizza. Except that the pizzas here are extraordinary. 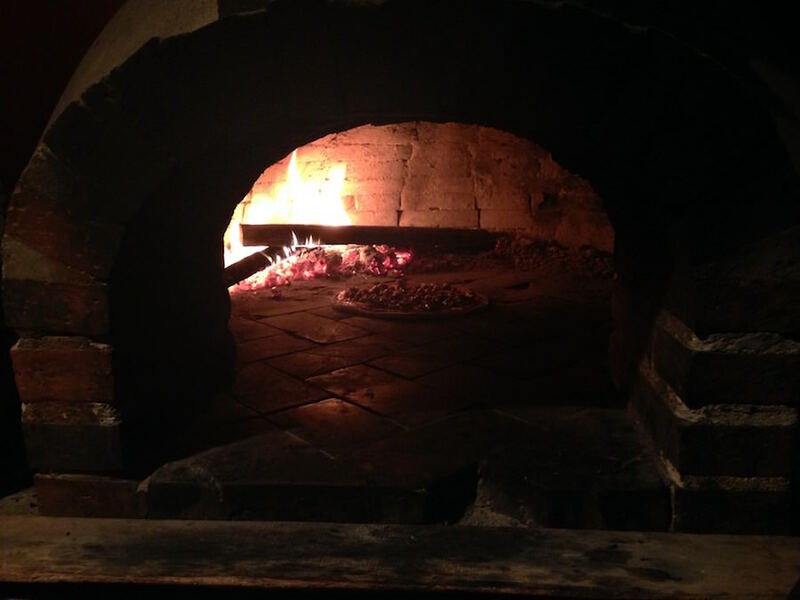 Stone baked, crisp Italian base, fresh ingredients and anchovies are shipped directly from Italy, pure heaven. Pair it with a glass of wine or Beer Lao and enjoy a perfect evening. 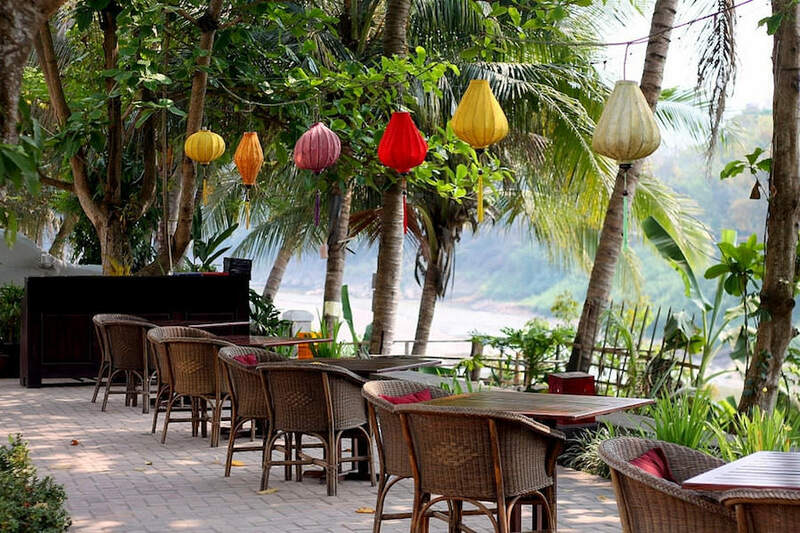 The restaurant is located only a few steps across the bamboo bridge from the buzzing Luang Prabang town. Once you cross the bridge, walk past Dyen Sabai restaurant and look out for the Emerson English Centre or a sign ‘PIZZA’ next to it. The pizzeria is located at the back garden. Keep in mind that the restaurant opening hours are 5-10pm. 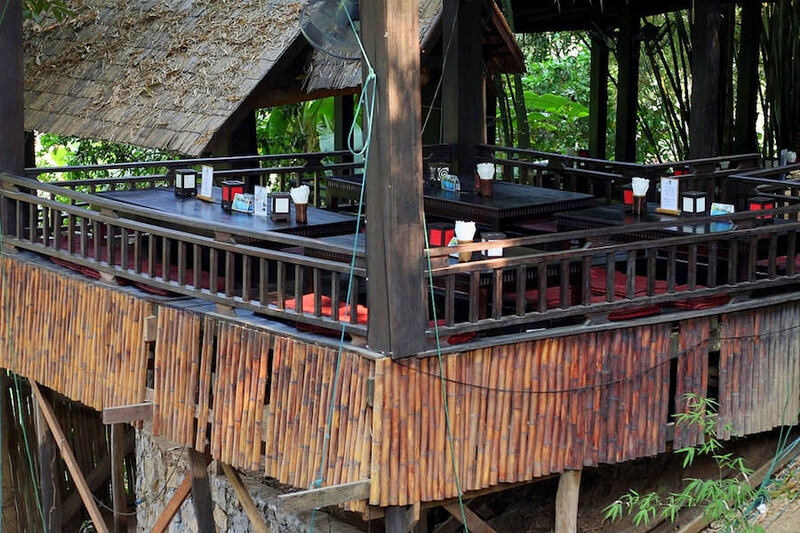 To splurge on your dinner head to Dyen Sabai across the same bamboo bridge. The restaurant sits literally at the top of stairs as soon as you reach the other side of the Nam Khan river. Tucked away in jungle surroundings, the restaurant provides a wonderful backdrop to your dining experience. The seating varies from private booths and ordinary tables with chairs to more relaxed decks with Laotian futons and low tables. Ladies, you might want to wear something a little more discreet if choosing the latter seating area. Food-wise, you will have a wonderful variety of Laos and Asian fusion to choose from. 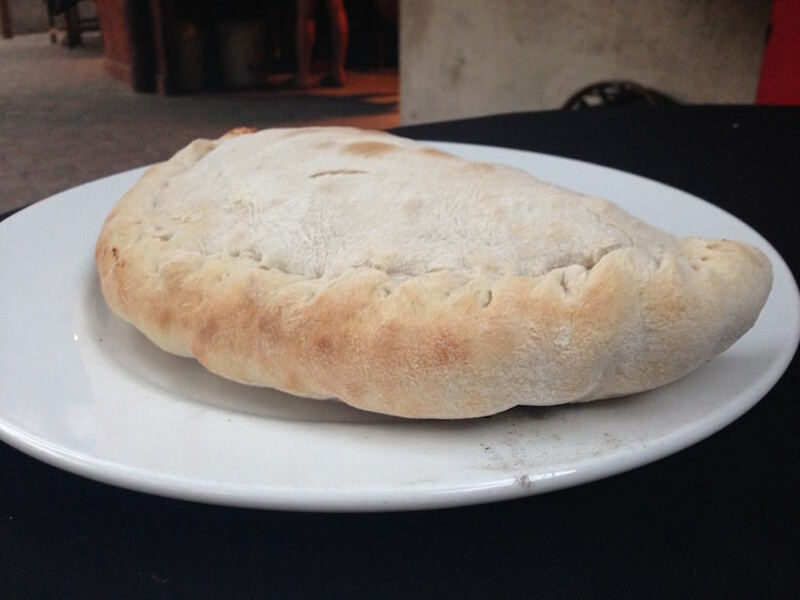 The menu is changed frequently, depending on the fresh produce available. Start your evening with the sharing platter and a couple of beers or even a cocktail, then sit back and relax. 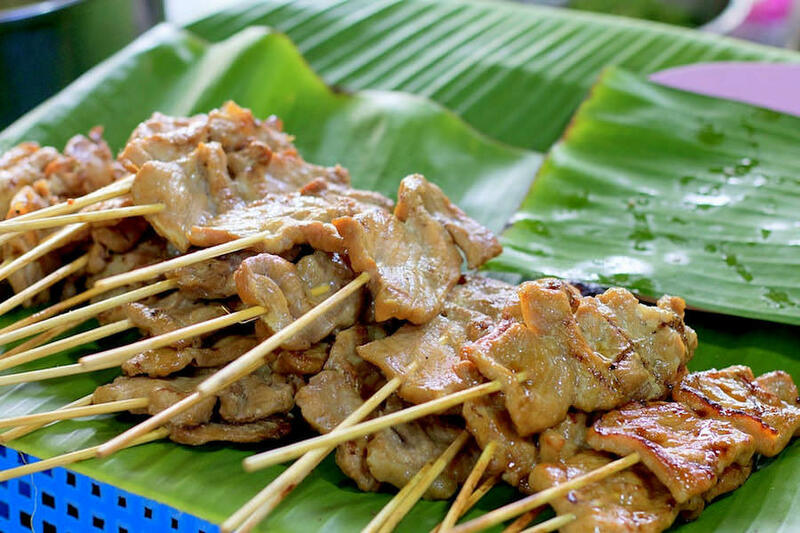 Both meat lovers and vegetarians will find some fine grub at the local night market. Apart from hot food, here you will also find a number of stalls offering cold salad type dishes, so just mix and match! The market is located on the Sisavangvong Rd, behind the Lao National Tourism Office. 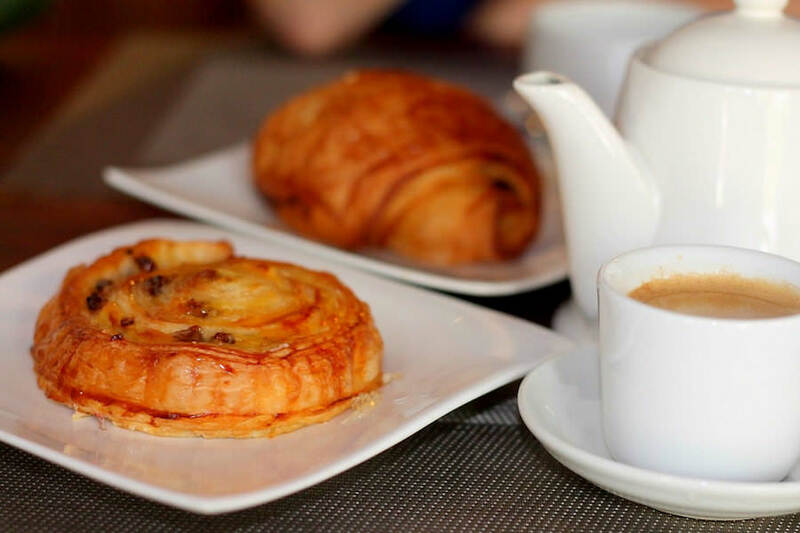 For a freshly baked pain au chocolat head to the French bakery La Banneton Cafe. Make sure to get there early before the pastries are gone. Coffee addicts will also be happy to up their caffeine intake here too. Oh, and don’t forget the ice cream. The abundance of great quality restaurants here is just impressive. So if you love food and want to learn the secrets of great Asian fusion, why not sign up for a cooking class? 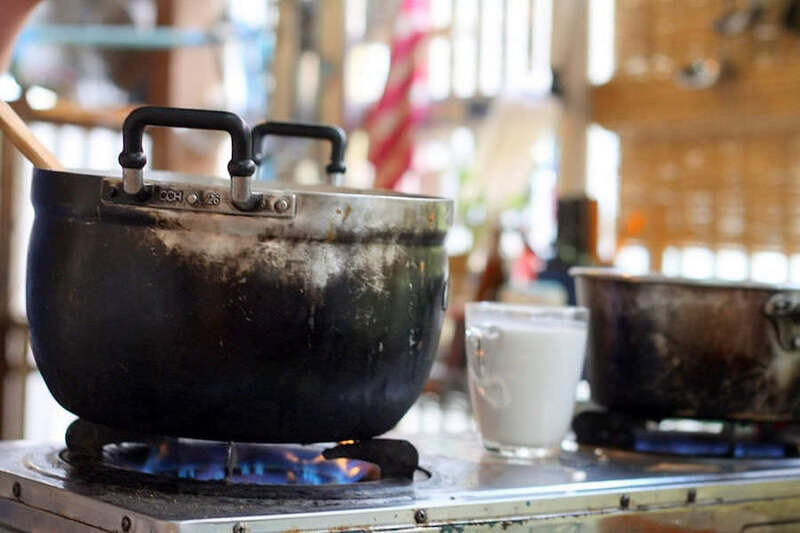 Try Tamarind or Tamnak Lao restaurant who provide morning or evening cooking classes. If you are after clothing, souvenirs, textiles or jewellery, you are in the right place. 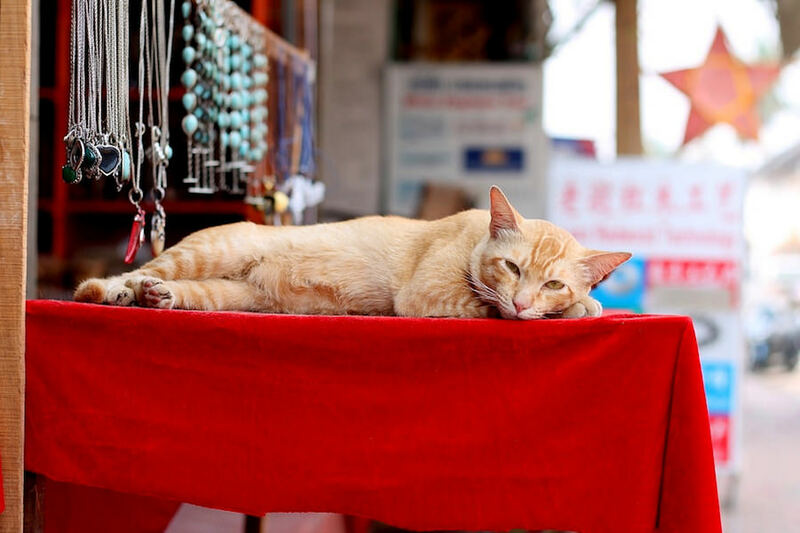 Pop into the cute shops on the high street or shop later at the Luang Prabang Night Market (open from 17.00-23.00). 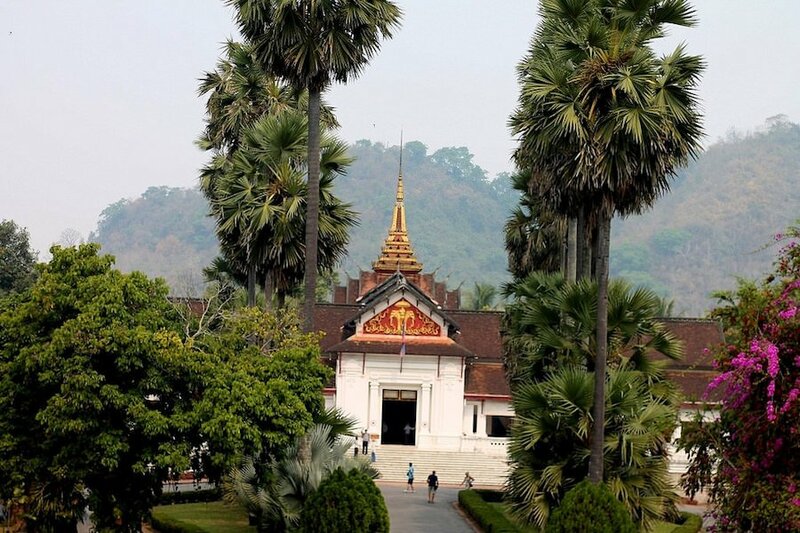 Luang Prabang is studded with magnificent Wats. If you are short of time, at least pop into Wat Mai Suwannaphumaham, located next to the Royal Palace. 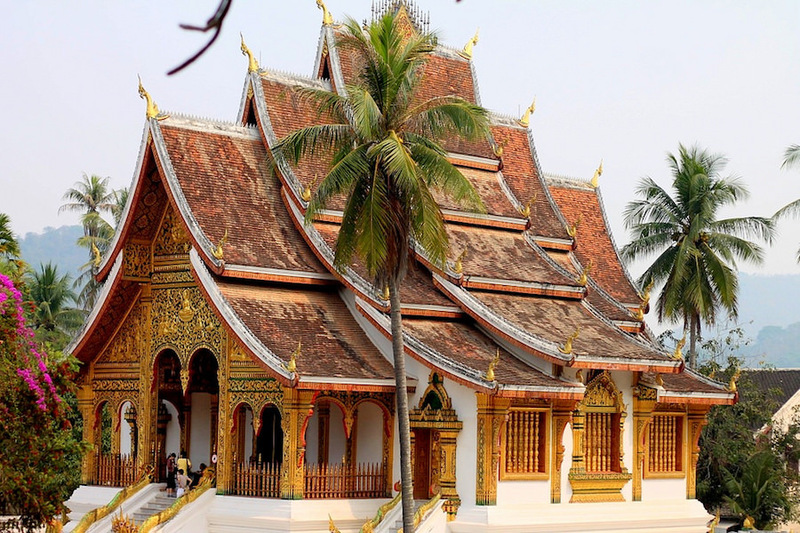 It is the largest and most elaborate temple in Luang Prabang. It’s probably the most basic and least elaborate Royal Palace we’ve been to in SE Asia. We found some interesting artefacts here though, including the bit of moon rock given to Laos after the first US moon landing. The admission fee is under $4 and remember to dress modestly. Most visitors climb high up on Phu Si Hill just opposite the Royal Palace to catch the sunset. While it might be a perfect spot for instagramming your visit, it gets really crowded up there and some of the visitors can be a little pushy. But if you love panoramic views, it’s worth the climb. If, like us, you value your personal space and want to enjoy a sunset without being elbowed out of your spot, head towards the river at the end of peninsula. Grab a cold beer on the way from one of the tiny shops and enjoy a chilled sunset with the locals. Even the monks come here to cool down in the sunset coloured waters. 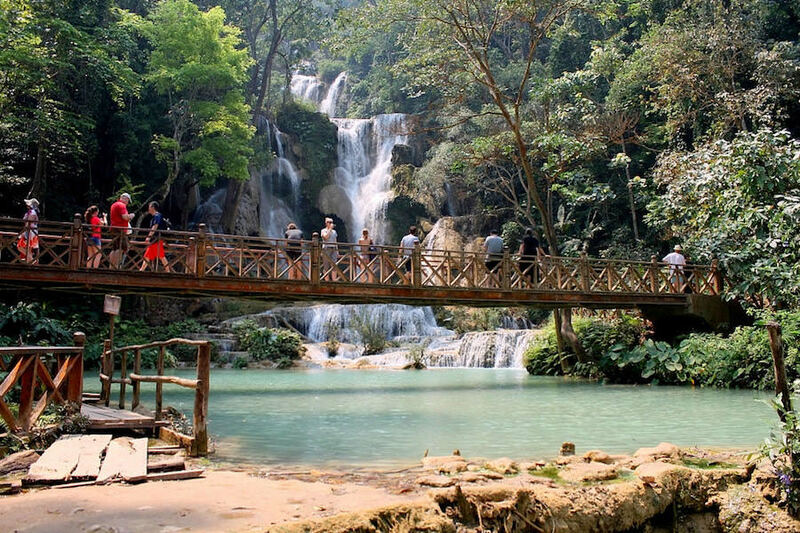 We can guarantee this will be the highlight of your visit to Luang Prabang, it’s a ‘must-do’ activity. Grab your swim gear, jump into a Tuk tuk or rent a motorbike and enjoy your day at the turquoise natural pools in the jungle. The main road to the waterfall is easy to follow and paved all the way right up to the entrance. The admission fee is $2.50 per person which also includes a sneak peek into the bear rescue centre. You will most likely spend a whole day having fun so pack some snacks, as food options inside the park are limited and expensive. Whatever plans you have for your stay in Luang Prabang, you might just be tempted to stay longer. So have a couple of days in reserve and be prepared to be charmed by the most embellished and luxurious place in Laos. 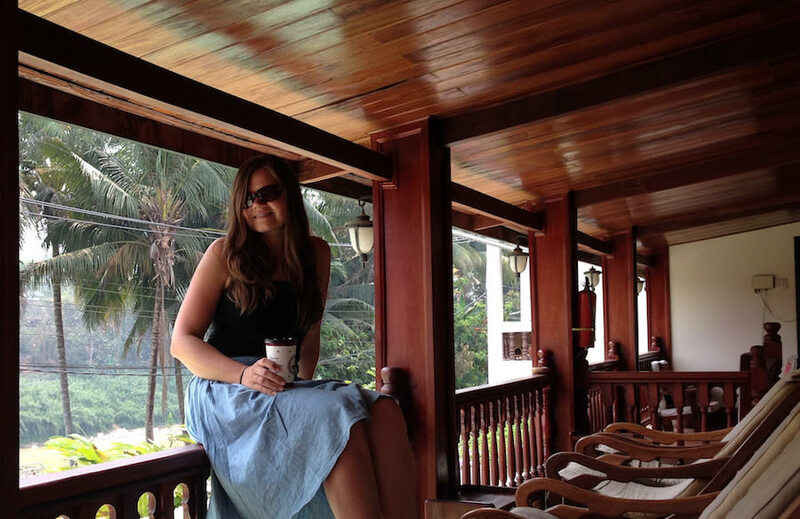 We loved Luang Prabang so much we ended up staying nearly 2 weeks! Our initial plan was a few days. 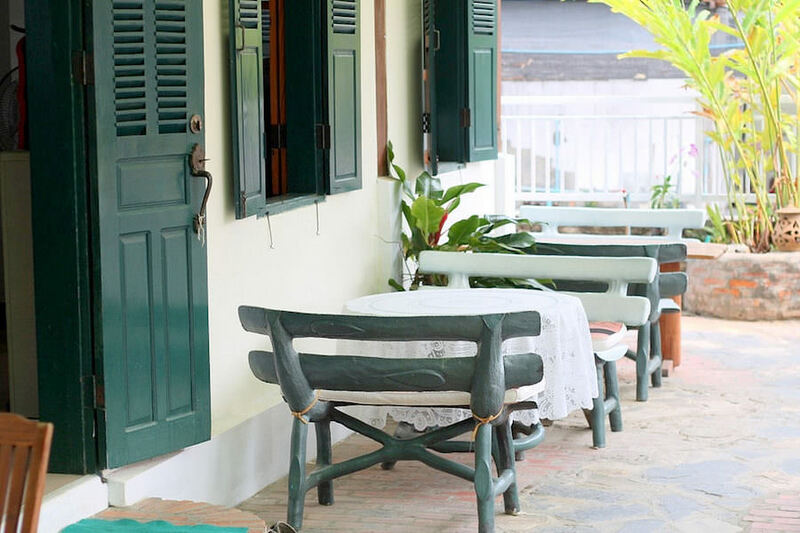 We just loved the relaxed vibe, the friendly people and the beautiful views of the Mekong! 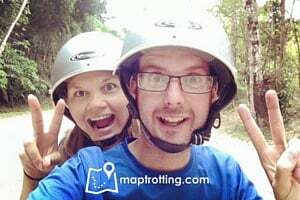 However, as a result, we didn’t visit any more of Laos… however, we decided we’d just have to go back and explore more! But we’d definitely be going back to Luang Prabang! One of our favorite places. I still have fond memories but I’d have to go back and check my journal for specifics. We stayed there back in 1997 or 8 I think. We did the 2 day slow boat as there were no other river options at that time. I do remember eating well, biking through the countryside and hanging out with young monks by the river. OMG so glad I found this on Pinterest! The food has me salivating, but I really can’t get over how gorgeous the waterfall is… Thanks for sharing the tips y’all.